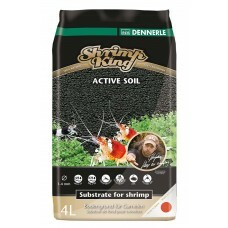 ShrimpKing Active Soil has been developed particularly for the successful keeping and breeding of shrimps. 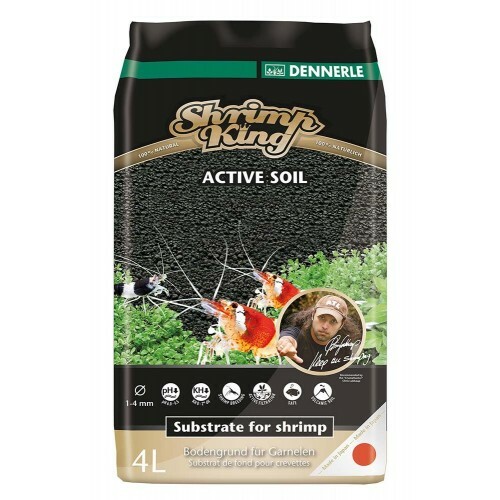 It is perfectly suited to all species that like soft, slightly acidic water, especially bee shrimp, such as the popular Crystal Red, Red Bee, Tiger Bees and Shadow Shrimp. It changes the water to be more like that with which soft water species are familiar in their natural habitats. As a natural ion exchanger it lowers the pH and stabilizes it at a slightly acidic level (approx. pH 6.0-6.5). At the same time it decreases the carbonate hardness – down to approx. 0-2 °d CH depending on the water source - and thus makes the water significantly softer. It also provides natural source of humic and fulvic acids, without discoloring the water.